A misshapen football kicked off a new soccer training system and an unexpected career path for this Austrian artist. Like most young Austrian boys, Mario Sinnhofer played soccer all throughout his childhood and he has continued to play into adulthood. But he never dreamed he’d make a career out of the sport. Yet, thanks to an unusual twist of fate, this artist and product designer is doing just that. Ten years ago, Sinnhofer started pulling at a thread, both metaphorically and literally, that unraveled into a exploration of soccer balls, where and how they’re made, who makes them and how they’re used. The result is Rasenreich soccer training balls. These non-spherical balls started out as an art project for Sinnhofer and have evolved into a multinational training device, made in Pakistan by fair trade-certified manufacturers. We spoke with Sinnhofer to get the back story. SmartPlanet: What is your background and how did it lead you to create the first Rasenreich ball? Mario Sinnhofer: I studied communication science to the B.A. level and then I was into music journalism. Then at around 24 years old I went to art school in Linz, and during my education I started getting into footballs*. The initial ideas [to deconstruct them] didn’t happen until I was in my second or third year. In the meantime I did hundreds of other things, they were mostly concerned with the topic of movement, on psychical, mental and economic levels. I was working on movement in different ways. Opening up a football and getting behind that stylish layer of those famous brands was very important to me. No one could tell me anything about how the balls were made. People in the shops knew about materials, but no one knew anything about where they were produced or how these balls are stitched up. That was the point where I really got interested. I really wanted the handicraft skill. That triggered my artistic research. SP: You cut apart a soccer ball and found that it was comprised of five-sided pieces and six-sided pieces. When these are arranged in a certain way they form a sphere. But you combined the pieces in a way they weren’t meant to be, creating what are basically deformed balls, right? I was still just researching, with no ideas at that time about turning it into a product. This was around 2004. I didn’t work on it like a product designer, it just went on as an art project. It always popped up here and there, when I did shows or exhibitions. I would meet people from football clubs. I never pushed it much until the end of 2008 and I decided OK now I want to try a company. SP: How did you go about learning whether these odd-shaped balls would have any useful application for training? MS: Over the years I got to know the right people, they told me that there is a theory backing this, called differentiated training. This theory is used in many sports — for example in skiing, Austrians are very proud of their skiers. Downhill skiers train with a very long ski on the left foot and a short one on the right foot. They simulate very extreme situations by mixing these skis. It makes skiers have bigger ideas of patterns of movement — things that you save in your brain and use later. So I realized the balls I was making could be a real fit for the market. It was clear that I had to have footballers play with these. I did some testing with some lower leagues and then tried some with professional teams. Franz Mayer, a professional skiing coach and sport-kinesiologist, contacted me and wanted to include the balls in his training routines, priming young football players. SP: When you were researching how conventional balls are made, you had also discovered that most are made in Pakistan and made under very poor working conditions. What have you learned about the fair trade movement and how did you find fair trade soccer ball makers for your products? 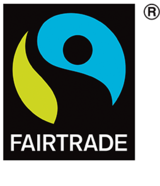 MS: Back in 2002, concerning football, there was almost no public discussion about fair trade. Bananas and coffee were fairly known. I had been a football player most of my life but I hadn’t known [that most balls are made in very poor working conditions]. The center for fair trade labeling (FLO) equipped me with a list of manufacturers who are fair-trade licensed. All of them were in Pakistan. There are just three to pick from. So that also tells a story about how early in this development we are. If you want a fair trade t-shirt there are a wide number of manufacturers already. In terms of training [the craftspeople], that was one of the great advantages of what I invented, because the way they are manufactured is not different [than conventional balls]. I just had to tell them how to differently set these 5-sided and 6-sided panels together. They are the same panels as regular footballs. So i just had to give them the stitching plan. SP: How has the business grown? Sinnhofer: After a little over two years on the market, I’m past the pilot phase and now I got all the feedback. You can buy the balls in stores in Austria and Switzerland, and online. Christian Tryon and Bryan Pell for Corpus Training in Lancaster, Pennsylvania, have been introducing the balls to the U.S. soccer world at fairs and tournaments. And several college teams are already using them. They’re also being used by professional soccer clubs, including FC Basel, a Swiss top league, European Champions League; HSV Hamburg, a German top league; and ZSKA Sofia, a Bulgarian top league. I’m talking to investors now, looking at getting it into wider distribution. Apart from the football market there are other areas to tap, like the whole field of school sports, for example. Kids could be using the balls starting at the age of 12 to develop movement and brain patterns and this could help them with academics because it helps connect of your brain hemispheres. After using the coordination training methods for skiing, the Austrian skiers‘ school marks got better. *Author’s note: Here and throughout the interview, Sinnhofer uses the term football, the sport which Americans call soccer.